Zoo alphabet with cute animals. 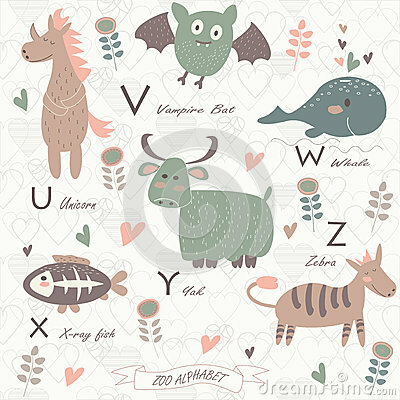 Cute Animals Vector illustration Icon Set on a white background. Vector illustration. Two dinosaur friends go on adventures. Printing of children`s cards, Souvenirs, children`s fashion.